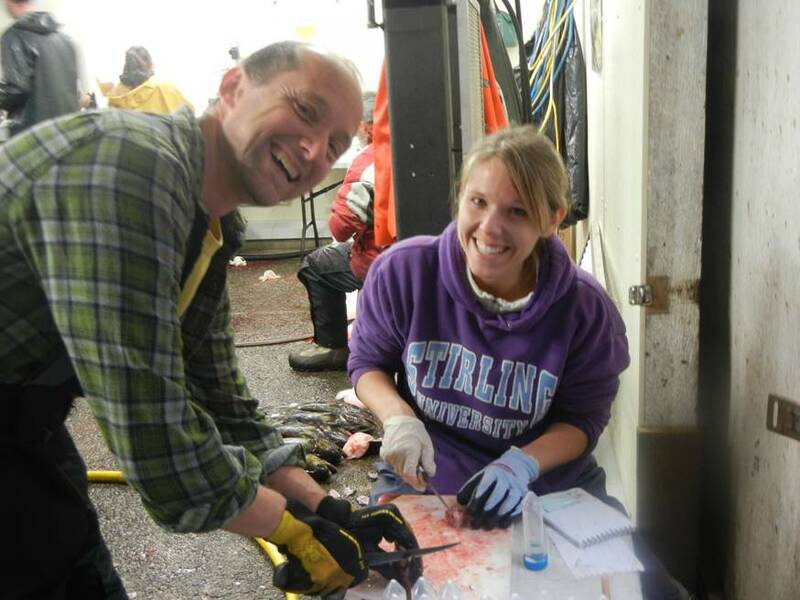 YIAL Research Expedition, BC (2013). Dr. Dennis Higgs with His Excellency the Right Honourable David Johnston, Governor General of Canada, Viceregal Representative of Her Majesty the Queen. 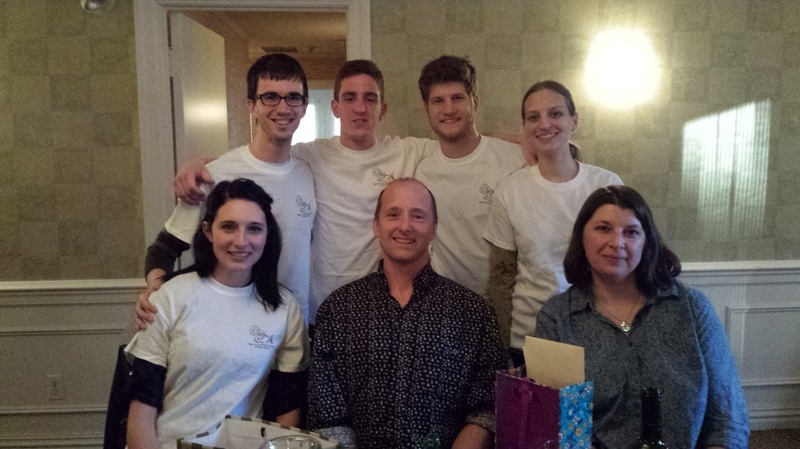 Dr. Higgs and Dr. Poling with the Higgs lab 2014 undergraduate thesis students: Megan Mickle, Anthony DeSilver, Bronson Goodfellow, Christian Carnevale, Jennifer Trymbulak (from left to right). 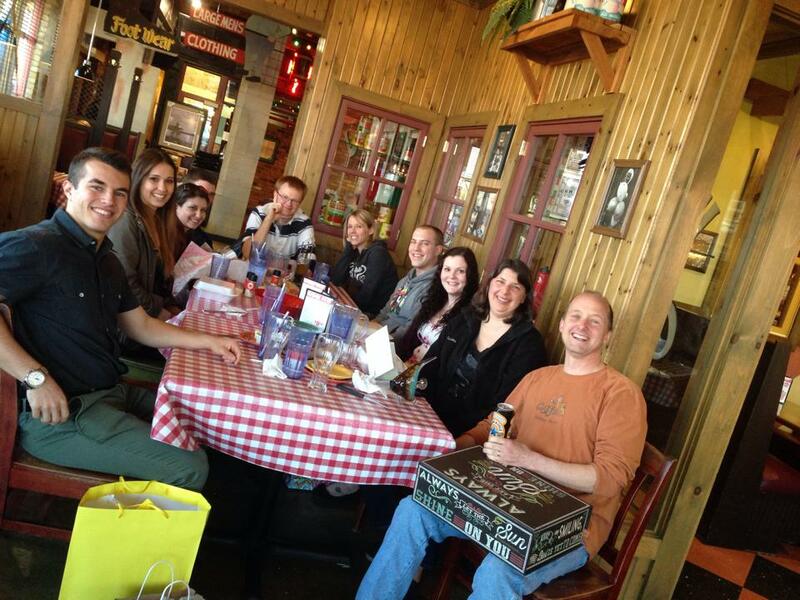 Dr. Higgs with the Higgs lab 2014 undergraduate thesis students. PhD student Mallory Wiper receives an award at the 2014 Biology Graduate Student Award ceremony. Left: Jessica Snyder, Dr. Higgs, and Stephanie Cervi (from left) collect samples from the Detroit River. 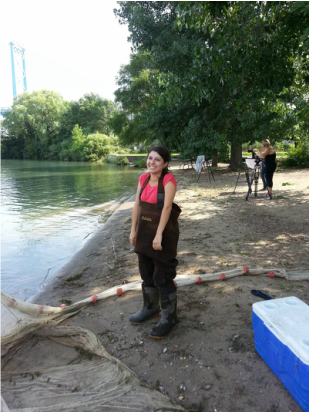 Right: Stephanie Cervi celebrates in waders after being filmed for television. 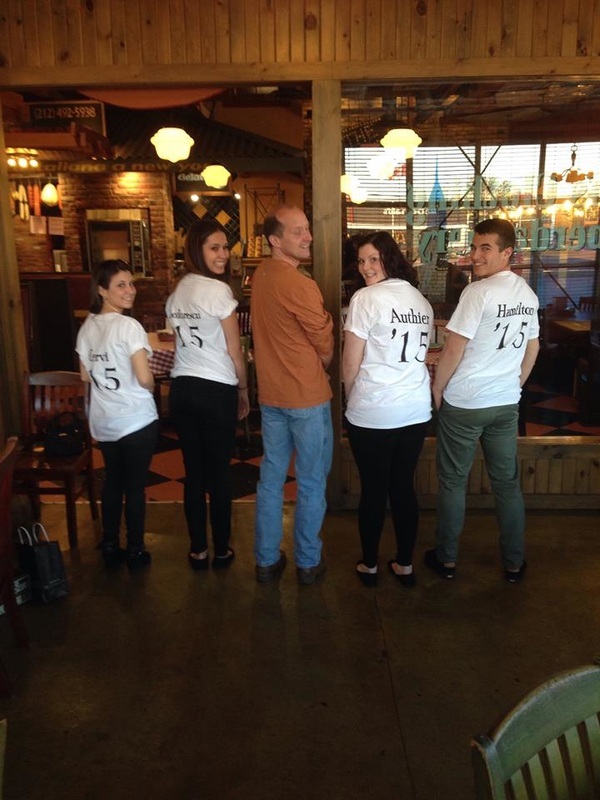 Left: Stephanie Cervi, Angela Teoderescu, Dr. Higgs, Erica Authier, and Kevin Hamilton don their custom Higgs lab 2015 undergraduate thesis student t-shirts at the end-of-year celebratory dinner. 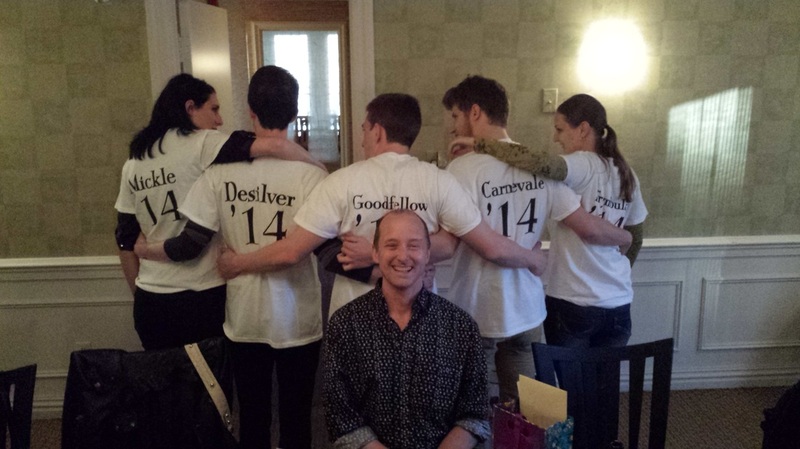 Up: Higgs lab dining together during end-of-year celebratory dinner.